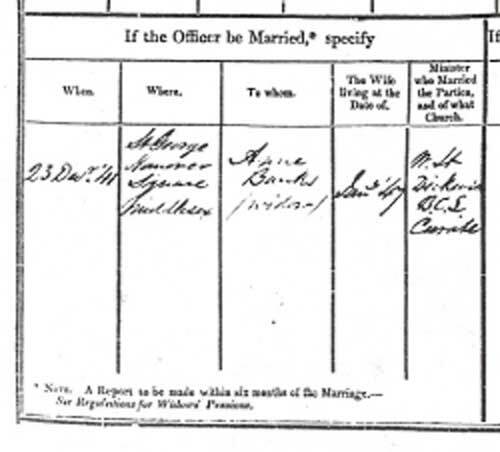 Genealogy – Family, all the individuals mentioned in the letter and noted any relationships e.g. Aunt, Nephew etc. Geographical information – e.g. the map and descriptions of terrain and weather conditions. Using the first of these lists I started the process of establishing who S Wyatt and Henry Wyatt were. As they both appeared to be military personnel the place to start researching was at The National Archives in Kew, London. 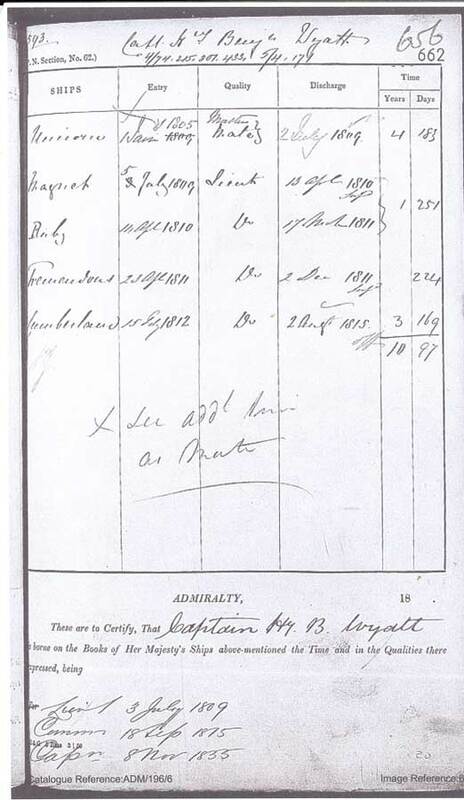 However a fuller version of his navel career is found in O’Byrne’s Naval Biographical Dictionary (published 1849) which gives a detailed service record of all commissioned officers alive in 1846. With this information S Wyatt, the letter writer himself, could be more easily traced. 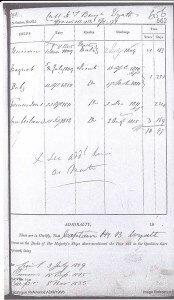 From the published List of Officers of the Royal Regiment of Artillery and published Army lists the service record of Samuel Wyatt RA was found. 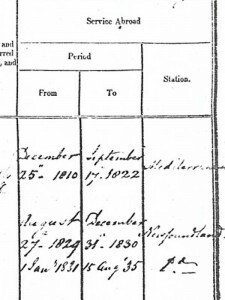 From this we find that he was born in Bangor Carnarvonshire [sic] 28 April 1789. 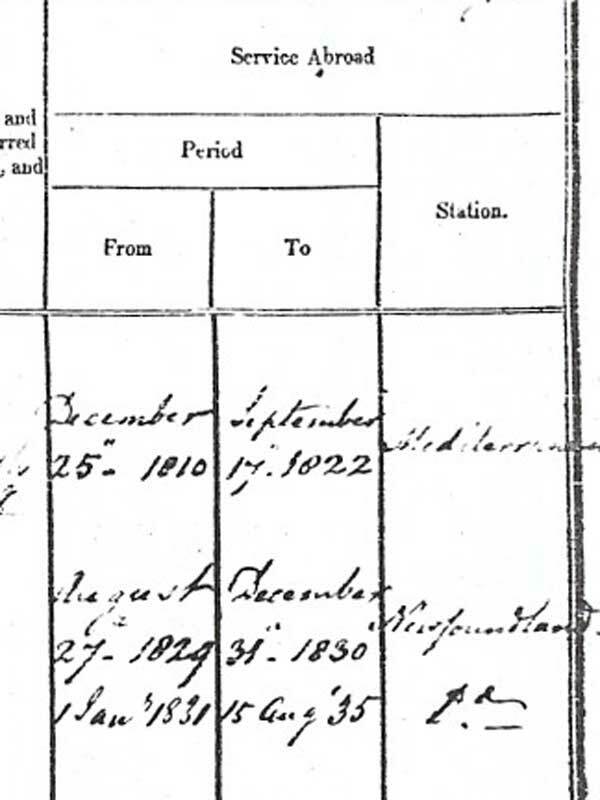 His age on entering the Army was 17 years 306 days. He served from 25 December 1810 to 17 September 1822 in the Mediterranean and from 27 August 1829 to 15 August 1835 in Newfoundland. The correct S Wyatt had definately been found. 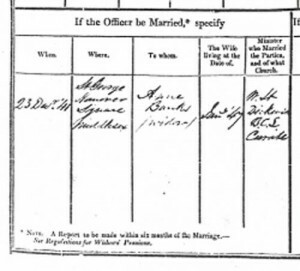 Again helpfully his service record states he married Anne Banks (widow) 23 December 1841 at St George Hanover Square Middlesex.